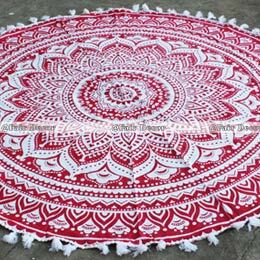 The fun in making amazing crochet fringe patterns and excellent design patterns can make a person feel happy as they brighten up the corners of the home. 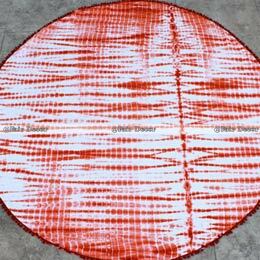 This experiment with cotton has emerged to be a super trendy material that could be used in beaches, picnic or as yoga mat too. 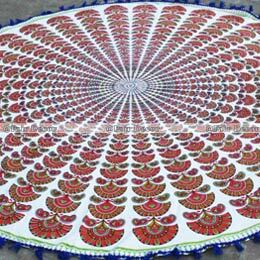 They act as a perfect gift for people in special occasions giving a powerful and intriguing look upon usage. 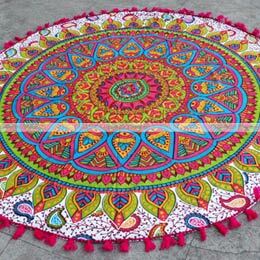 Available in different colors, the fringed patterns are among the increasing sale in the online market. 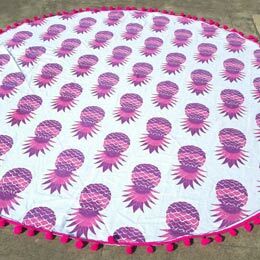 The round fringe beach towel is characterized in geometric shapes and has become even more popular in the fringe and crochet arena. 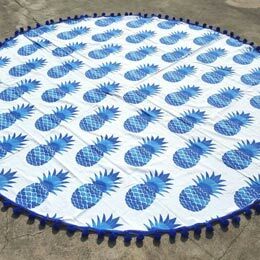 The round pattern with fringes is made from pure cotton and the tiny spots of minute detailing make the fringe to be a highest selling quality product in the online base. 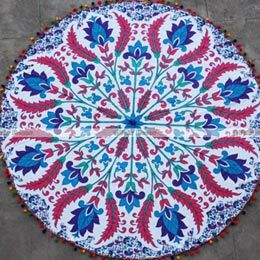 The different mix of colors gives an aesthetic feel with a sense of embellishment taking a person’s spirits away when looking at the pattern. 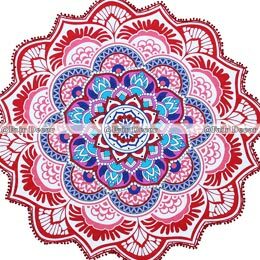 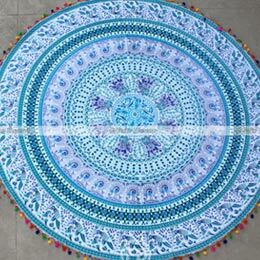 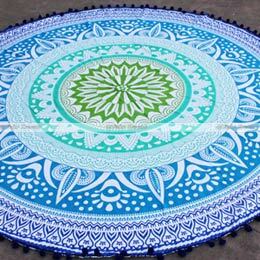 Most of the pom poms mandala roundies are used as a hanging decoration into the room that can create a unique and inspiring feel into the living space. 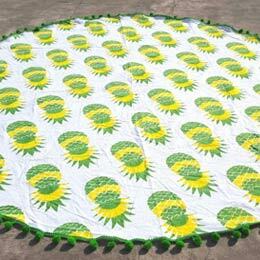 Such type of round fringes made from pure cotton is sold in different size and price ranges too. 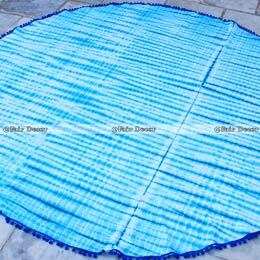 The soft square of the cotton blankets makes the product to be used for table cloth, beach towel or as a picnic towel too. 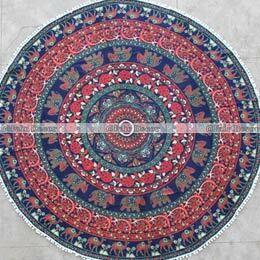 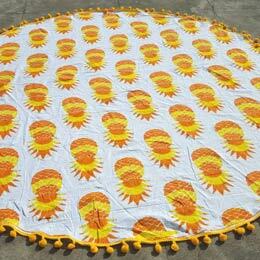 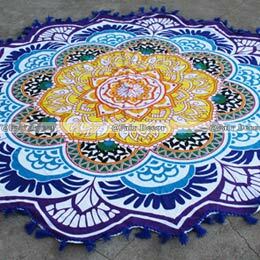 The mandala throws calls for proper maintenance in cleaning and drying process as it is made out of pure cotton. 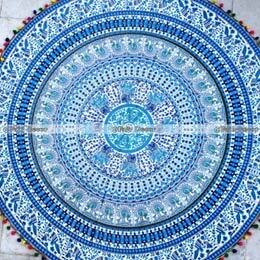 The beautiful mix of the colors can give a clean feel into the place by evoking positive energy around. 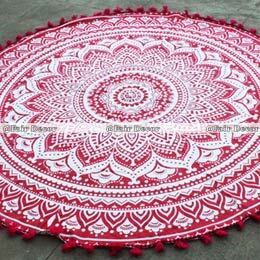 The fringe round mandala patterns has a stringent color where they do not actually fade away soon. 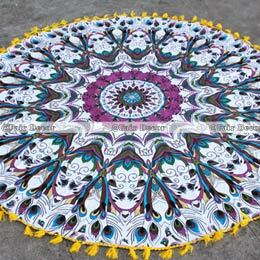 Each fringe are built with unique patterns of designs by carefully selected materials of handmade craftsmanship. 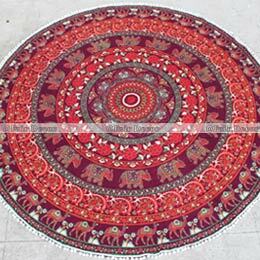 They ensure for timely delivery of the product once the order is made online by taking care of the shipping processes too. 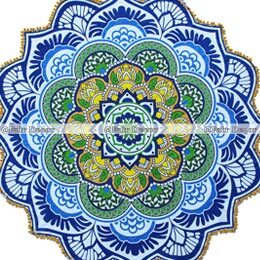 They are sold to countries in Japan, Chile, UK and other European countries too thus making it to be a soughed out product worldwide. 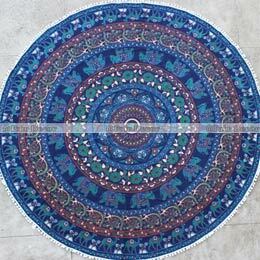 The mandala roundies with pom poms are perfect in shape with a clear round cut and serves for multi-purpose uses. 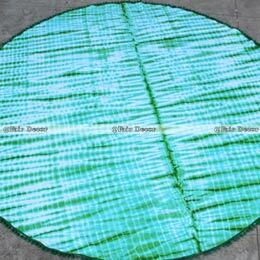 The super trendy blankets assists as a perfect partner in summer because of their pretty colors of explosion. 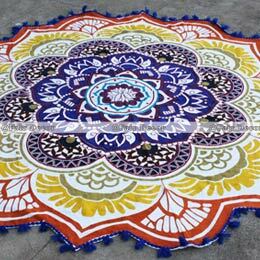 The colorful mix of patterns from the mandala throws has been setting marvelous pattern makers for tapestries, making it even catchier for sale. 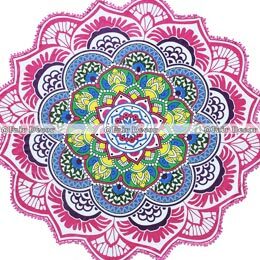 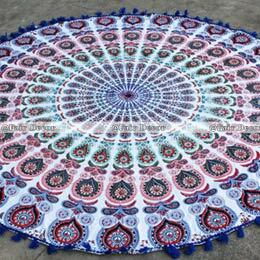 Handmade from 100% cotton fabric, the beautiful round fringed mandala beach sheet is finished with multicolor pom poms. 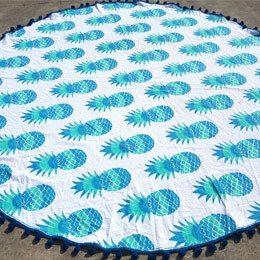 The round roudie fringed mandala beach towel is perfect to be used as a beach throw, beach sheet and beach towel.